being MVP: Suave Family Perks Program + $50 Walmart Gift Card #Giveaway! 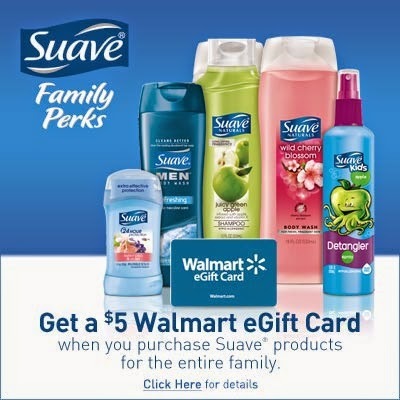 Suave Family Perks Program + $50 Walmart Gift Card #Giveaway! This is a sponsored post with Global Influence. Suave offers a variety of quality products for the entire family that are affordable with Walmart's low prices. The different scents that they have put together are amazing. One of my favorites is the Suave Professionals Almond + Shea Butter Shampoo & Conditioner. My hair is nourished and shiny after using this combo. You can get rewarded for buying the Suave products from Walmart that your family loves. 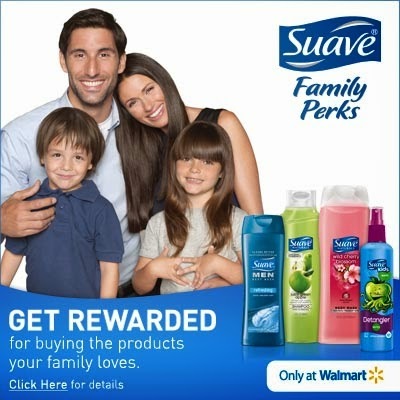 Sign up for Suave Family Rewards at Suave Family Perks to start earning points to redeem for $5 Walmart gift cards! How simple is that? Get rewarded for products that you already love and buy. What are some of your favorite Suave products? Some of my favorite Suave products are the Naturals Shampoo and Conditioner in the Tropical Coconut! That smells so good!!! I like the Suave Professionals Moroccan Infusion Moroccan Argan Styling Oil.